Rockliffe Park 1st XI v Newton Aycliffe 1st XI – weather was warm and sunny. Rockliffe won the toss and chose to bowl first. Aycliffe first XI lost a close game away at Rockliffe Park 1st XI by 4 wickets. Jack Slatcher (sponsored by Dean and Tina Greaves) was given the man of the match award for some very tight bowling during which he finished with the excellent figures of 1 wicket for 12 runs from 13 overs. Newton Aycliffe 2nd XI v Rockliffe Park 2nd XI – weather was warm and sunny. Rockliffe won the toss and chose to bat first. Dylan Tribley 6 for 29, Neil Bancroft 2 for 29 and George Slatcher 1 for 33. 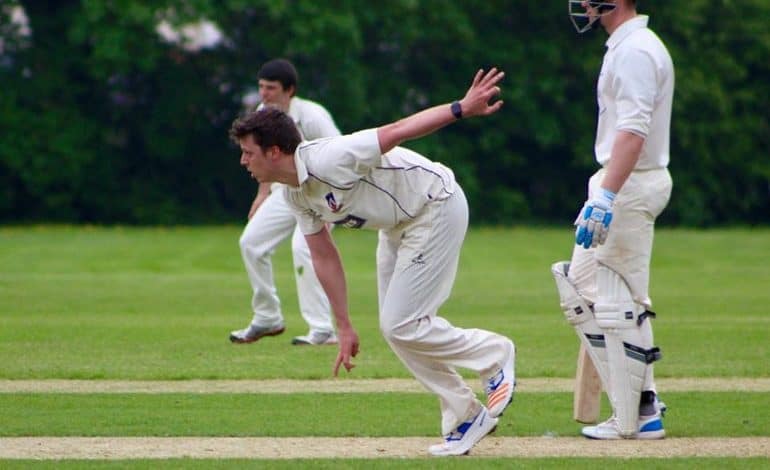 Aycliffe’s second team were well beaten by 131 runs at home to Rockliffe Park 2nd XI. However there was a fantastic man of the match performance from Aycliffe’s Dylan Tribley who finished with the best bowling figures of his career taking six wickets for just 29 runs from his seven over spell. Hartlepool 2nd XI v Newton Aycliffe 1st XI – weather was warm and sunny. Aycliffe won the toss and chose to bat first. Aycliffe’s first XI bounced straight back after Saturday’s defeat to win away at Hartlepool 2nd XI by 85 runs. Michael Howe (sponsored by Yvonne and Bob Wood, pictured above) was given the man of the match award after a superb all round performance which included scoring 58 runs from just 41 balls and he then followed that up by taking 3 for 44 with the ball and also holding on to a couple of catches too. Photo of Michael Howe attached.